A third period comeback came up short for the Stony Brook hockey team against Delaware Friday night, giving the Seawolves their third consecutive loss since returning from winter break. After erasing a 2-0 deficit in the final seven minutes of regulation and holding off the Blue Hens’ 5-on-3 man advantage in the early stages of overtime, the Seawolves’ night ended on a sour note when Delaware sophomore forward Chris Mazzella scored the game-winner, earning the Hens a 3-2 victory. The Blue Hens, who have now won their past three meetings with the Seawolves at home, drew within two points of the Seawolves in the Eastern States Collegiate Hockey Association standings after Friday’s overtime win. The game may not have made it past regulation if not for the efforts of Stony Brook junior defenseman Frank Coscia, who scored both goals to tie the game late in the third period. 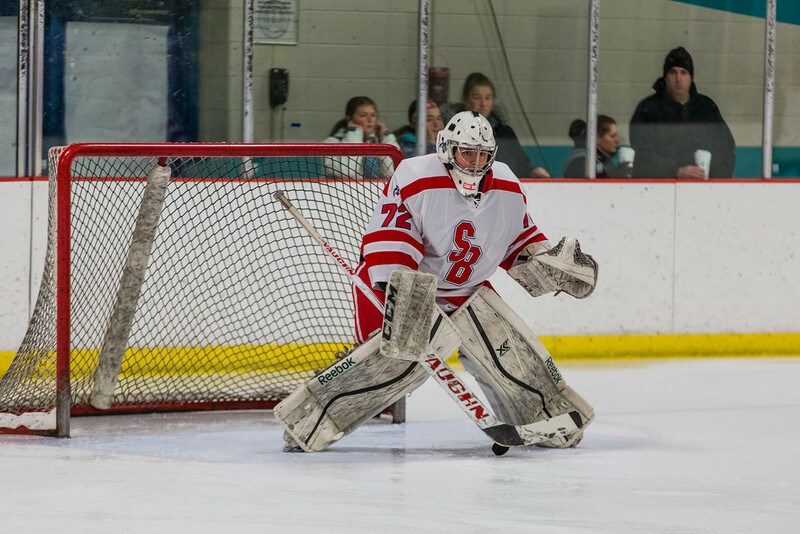 Stony Brook sophomore goaltender Richard Shipman’s solid performance gave his team the opportunity to fight back in the third. Shipman stopped 31 out of 34 pucks thrown his way in the loss, including one in the extra frame. The Seawolves will need more of the same from Shipman in the absence of sophomore goaltender Payne Yoder, who Garofalo said is out for a few weeks with a lower-body injury. Shipman currently leads the ESCHL with a .941 save percentage, but that number is sure to go down if the team in front of him can’t find a way to stay out of the penalty box. Stony Brook committed 10 infractions in the loss and was in the box almost two minutes longer than the division average.